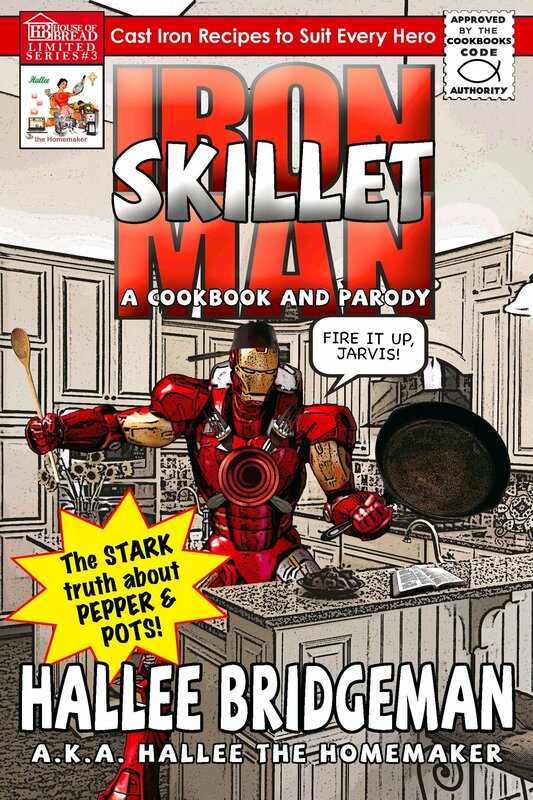 Iron Skillet Man; The Stark Truth About Pepper and Pots is NOW AVAILABLE! It’s a bird! It’s a plane! It’s a cookbook! Move over men of steel! Make room mutants, aliens, and chemically or radioactively enhanced rescuers! Prepare to assemble your spatulas and get your “Flame on!” while the heroic Hallee the Homemaker™ (whose secret identity is Christian author and blogger Hallee Bridgeman) swings into action and shows her mettle with her third title in the Hallee’s Galley parody cookbook series. Is your skillet-sense starting to tingle? Don’t start crawling the walls, worthy citizen. Hallee constructs comic fun, jabbing at the cultural obsession with super powered heroes and villains. Along the way, readers will thrill to action packed explanations, daring “do it yourself” techniques, tremendous tips, and lots of real food/whole food recipes that achieve truly heroic heights. Ironically, while just a mild mannered cookbook by day, wrapped in a parody and surrounded by a comedy by night — the recipes are absolutely real and within the grasp of ordinary beings. Along with revealing the stark truth about pepper and pots, learn how to clean and season cast iron and care for cookware so it will last for generations. Recipes run the gamut from red meats to vegetables and from fish to fowl. Super skillet breads and divine desserts rush to the rescue. In these colorful pages, you might just discover the x-factor to overcome even the most sinister kitchen confrontation. With Iron Skillet Man fighting for you, ordinary meals transform into extraordinary super powered provisions, whether cooking over a campfire or a conventional stove top. A comprehensive collection of 89 real-food recipes – anything you can think of to cook in a skillet. From Southern Fried Chicken to Vegetarian Fajitas to Corn Cake with Stewed Cherries to Irish Soda Bread to Orange Drop Doughnuts and everything in-between. 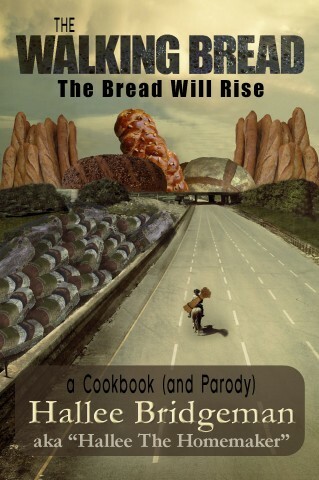 And — don’t miss the other books in Hallee’s Galley Parody Cookbook Series! Look for the upcoming release of A Carol for Kent, Book 3 in the Song of Suspense Series. Soon after, I will begin publishing the serial World War II action drama, Virtues and Valor. 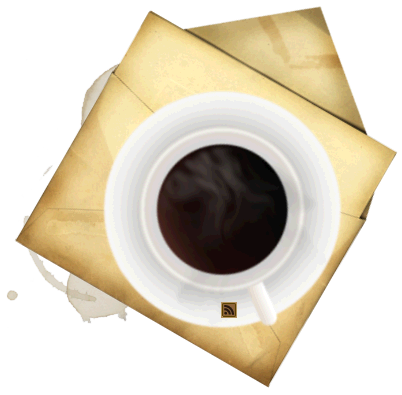 Every month, there will be a new issue. This year is my busy travel year. I have something every month through October. For now, here are my February/March events. If you want more, you can find them on my event page on my website. 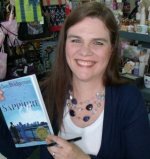 Join Kentucky Christian author Hallee Bridgeman and other local authors for the Lincoln Regional Book Festival. That should bring you up to speed for me for the next two months.